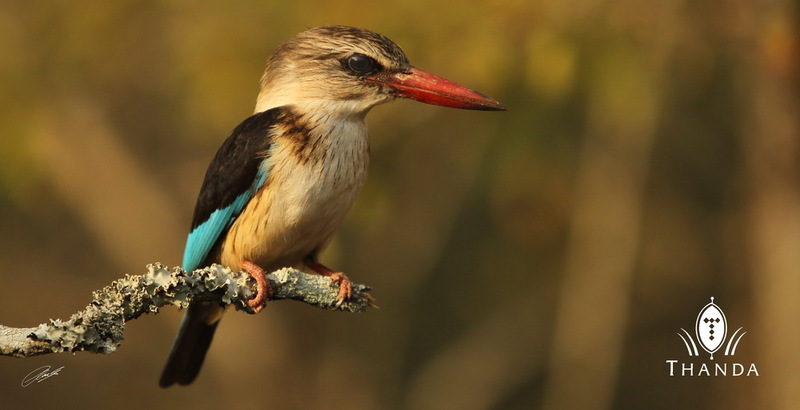 One of the Thanda guests was very surprised when this Brown-hooded Kingfisher did not fly off when we approach but kept sitting on its branch almost to “touching-distance”. These small birds are usually not to tolerant to vehicle approaches, but this specimen did not care. Thanks for the great photo opportunity :-).